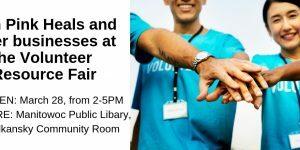 Learn more about the Volunteer Resource Fair and what a great opportunity it could be for you! 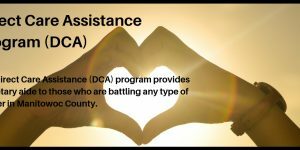 Our Direct Care Assistance (DCA) program provides monetary aide to those who are battling any type of cancer in the community. The recipients (women, men or children) of DCA must be actively being treated for any type of cancer and be a resident of Manitowoc County. 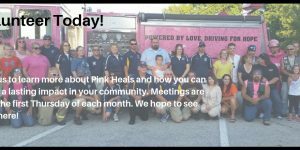 Pink Heals assists by paying recipients bills, whether it be a mortgage/rent, utilities, medical bills, etc., up to $1,000 per year. For further information or to speak with our DCA Coordinator please call Ann Wilsmann at (920) 663-2789.